With the 1814 London Frost Fair in full swing, actress Elyse McKenna's performance in A Midwinter Night's Dream thrills the crowd. But Elyse's backstage has life is beginning to take on a distinctly Shakespearean flavor. When she fell in love with Lord John Waldegrave, Elyse was prepared to keep their affair secret. But she wasn't ready for her new love to rock her relationship with her dearest friend, Doctor Kai Murray. If Elyse hopes to escape the Thames with her heart intact, she must discover the truth about the captain, Kai, John, and her own feelings--before it's too late. 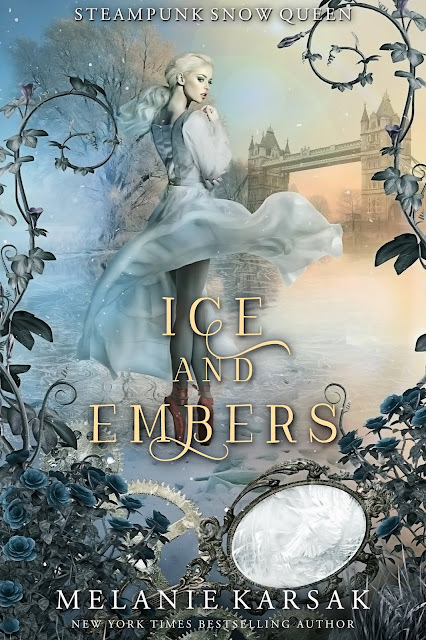 Ice and Embers is a retelling of the classic Snow Queen fairy tale set in New York Times best-selling author Melanie Karsak's steampunk universe. 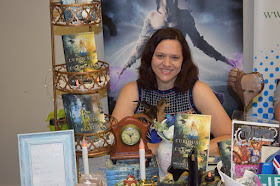 Journey to gaslamp London during the 19th century to see how Melanie puts a steampunk spin in this reimagined fairytale.